If you are like the average household in the United States, you are carrying more than $15,000 in credit card debt. How does that make you feel, well, more than anything I hope you feel a sense of relief in not being alone in debt. It doesn’t matter how you got to this point, what is important is what you do next. Establishing your financial freedom by paying off your debt is one of the most powerful moves you can make. The less debt you are into others, the more power you have over your life and your future. 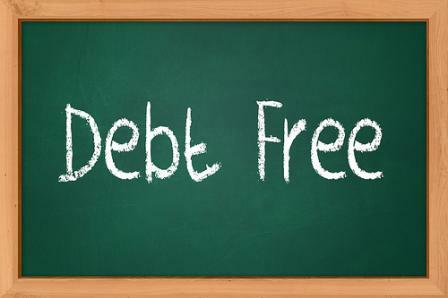 What strategies should you pursue to become debt free and life abundant? Establishing a budget based on reality is the first step in your financial independence. You can go old school and use a yellow tablet, or choose one of the newer personal finance tools to outline your income and expenses. Try to be as real and tight as you can as you build this tool, the more accurate you are, the more accurate you will be. If you can collect receipts for some time before your budget, it will help you set up some realistic expenditure levels. Once you have a good, accurate list of your expenses, take a look at where you can cut costs. Track your spending and keep a log of your cash expenditures as you go, look for trends or areas where you need to tighten up or loosen your spending so your budget can be more accurate. Look into which loans are costing you the most money and pay those off first. You are trying to build a movement towards your freedom, and that change starts with chipping away at the most dangerous rocks first. Those high debt cards are costing you the most money. You may have bigger bills to pay, but if they are low interest, they aren’t limiting you as much. Pay as much as you can over the minimum payment on your high-interest cards while you pay your minimum payments on the others. Once your highest interest card is paid, attack the next one, and on and on, till all have been paid. If you receive a bonus at work, use it towards your debt. Too often we think we owe ourselves something, when truthfully, we already paid ourselves something we now owe for. If you have great strategies for continued spending controls in place, you can use the equity in your home to pay off your high-interest loans. You just have to have a plan in place to attack the debt from that direction immediately. You also have to have a steel plated plan not to borrow on cards while you pay off this loan. You are chipping away at a lot of debt, chip by chip. Look at each of your payments and pay a little more on each of your payments. As you pay off one card, roll that payment on to the payment of another card. This gets you paying on the balance and not on the interest. Keep the cycle going throughout the whole process. Cut up all your cards and stop using them or at least tuck them away where it is hard to use them. It can be tempting to use the rewards focused cards; the problem is that you tend to put things on cards with the intent to pay them off, then for one circumstance or another don’t pay it all and then, there you go.